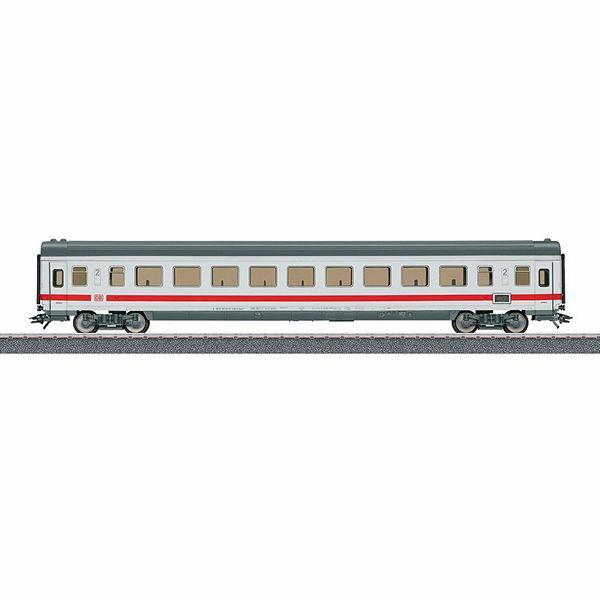 Prototype: German Railroad, Inc. DB A type Bpmz 294.3 Intercity open seating car, 2nd class. Model: The 7319 current-conducting coupling or the 72020/72021 operating current-conducting coupler can be installed on this car by inserting it in the coupler pocket. The car has adjustable buffers. Length over the buffers 26.4 cm / 10-3/8". DC wheel set E700580.